Thus began my slow perhaps reluctant transformation. Because it happens to be a favorite of many, I have warmed up to it. Kima can be delicious but it is also one of those dishes that swings wide along the spectrum from very bad to very good, from packing foam dry to wet newspaper mushy. Making a good kima is pretty easy: the key is to start with a high quality ground meat. 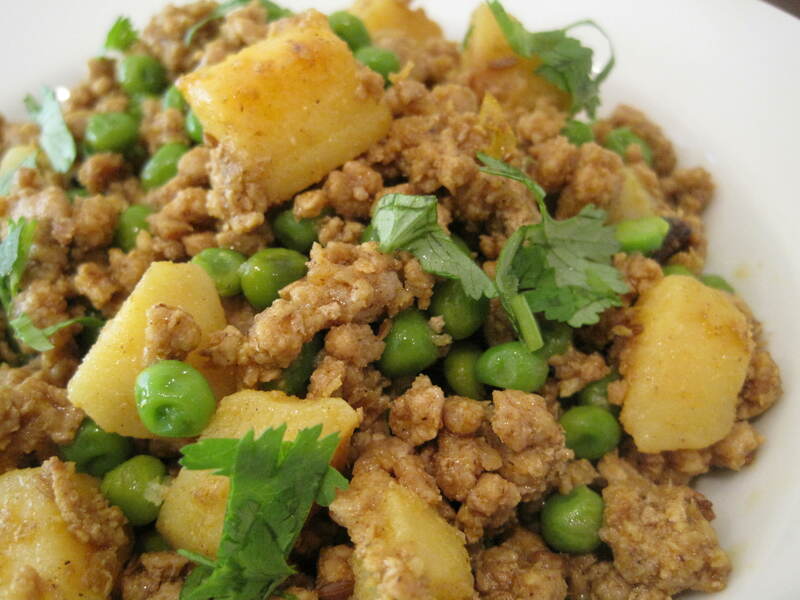 Ground lamb is traditional, but ground chicken, turkey, and beef are all excellent for kima, especially if the lamb is too fatty or not very fresh. A good rule of thumb: kima should be savory and spicy, and however minimal or brothy the sauce, its richness is designed to elevate the humble ground meat. This is how kima becomes comforting and elegant all at once. It needs little else except rice or roti, and whether we make it studded with dried chilies or with green peas, every bite fills us with warmth and reminds us that hospitality need not be complicated, and that simple foods are sometimes more endearing. I seldom make kima the same way twice because I don’t follow a particular recipe. The version below was made with potatoes and peas, because I was in a “the kima needs veggies” kind of mood. Warm the oil in a large, heavy-bottomed pan and add the tej leaves, chilies, cardamom and cumin seeds. Heat the oil until the spices become fragrant. Saute onion, garlic and ginger until onions are translucent. Add the ground meat, season and brown. After browning, add the remaining ground spices (cumin, coriander, turmeric, garam masala) and tomato. In a separate pan, fry the potatoes with oil and salt. Alternately, the potatoes may be added to the meat mixture at this stage but the texture will be slightly different. Add liquid if needed, adjust seasoning, turn heat to low and simmer for about 20 minutes. Just when the dish is close to done, add the peas and cook to tenderness. Remove from heat, add fresh cilantro and serve with rice or roti. 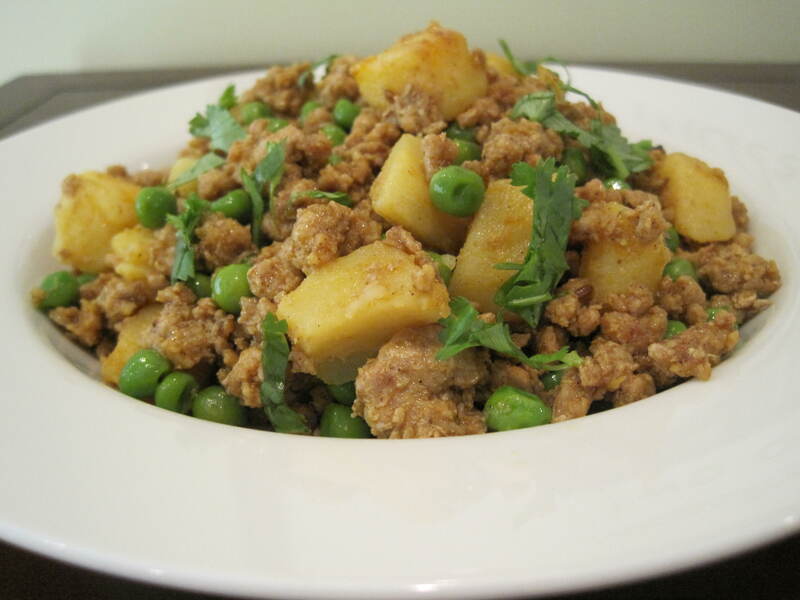 This entry was posted in Bengali Food and tagged Kima, Potatoes. Bookmark the permalink. Your kima is delicious, I’ve had it before 🙂 I sometimes put a little more diced tomato into mine. It depends on my mood.